Now that I am done ranting, time to turn my attention back to Sherlock. I watched the season 4 teaser last year! Since I wait until it loads on Netflix, I waited for what seemed like forever. Even after it showed up on Netflix, I still had to wait for some much-needed downtime. The first episode was worth the wait, it did not disappoint! Any show that can make me gasp laugh and cry is a short period of time is fantastic in my book. If you have never seen BBC’s version of Sherlock watch the teaser trailer, it’s great! Here is the trailer from YouTube in case you missed it. Now that I am done with my Sherlock tangent, I will move my attention over to lemon meringue pie. I have never made this pie before, so I am already going into this with a challenge. The first challenge for me is choosing a crust. I debated on traditional, graham cracker, and oatmeal. Since I need to justify my sugar intake, I landed on the oatmeal crust with a little-crushed flax seed. The whole grain cancels out the sugar right?! Well, a girl can dream. When I made the crust I was kind of winging it! I wanted a crust not too sweet but also a little lemony. I only added 2 tbsp of sugar to the mixture and the juice of one lemon. I skipped the traditional crust method and used one stick of melted butter versus cutting the cold butter in. I also added about 1/4 cup of crushed flax seed, because, you know, health. For this dish, I used a Betty Crocker recipe for the pie filling and meringue. The only difference is that I used 3 tsp of lemon zest (I like mine super lemony) and 4 eggs. 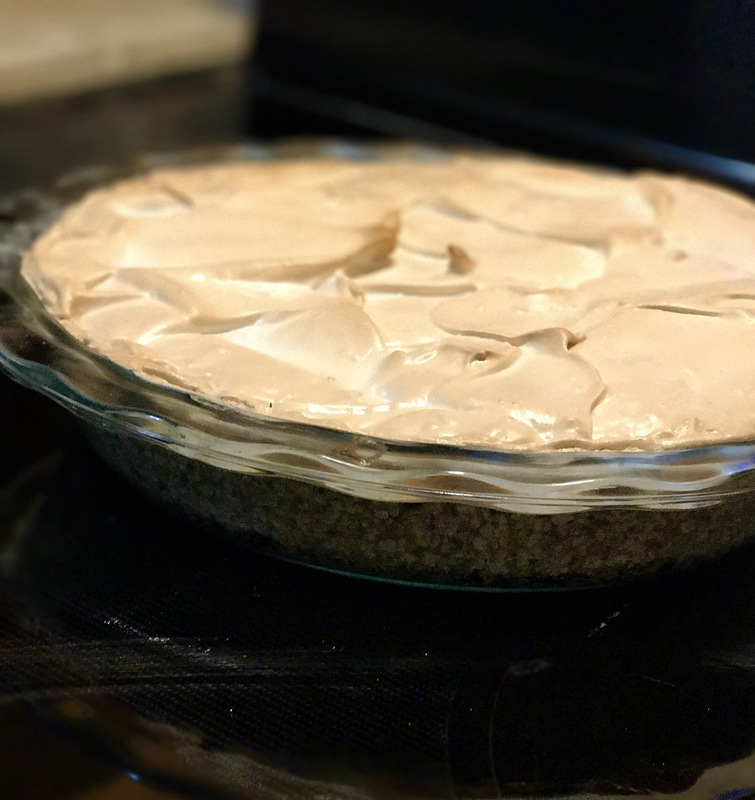 Since I have never made meringue, I did not know exactly what I was looking for in terms of “stiff peaks.” Due to this conundrum, my pie did not turn out as beautiful as Betty Crocker’s, but it is pretty tasty. I will need to practice with this method more until I perfect it. If you want to try my pie crust recipe, I am posting below. Let me know what you think.